Clemson, SC – From the perspective of coaches, it’s just another spring practice that serves as a major recruiting weekend. But spring games aren’t normal practices and Clemson’s spring game isn’t normal. This was nothing less than a look at the next Tiger team combined with an excellent recruiting event to build for the future. It can be the main Clemson game a family goes to in a year, a taste of Clemson football before the dog days of summer, or just another chance to watch incredible talents like Trevor Lawrence and company play football – even if it means sitting in the upper deck. Whatever the reason, 60,000 fans traveled to Clemson to send off the 2018 Tigers and welcome in the 2019 Tigers. Kirk Herbstreit interviewed Coach Swinney on the field while Marty Smith interviewed former players, all on ESPN2 for the world to see. 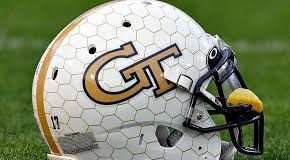 Awards were handed out in the pre-game festivities, championship rings were awarded at halftime, and Eric Mac Lain was announced as the first analyst for the new ACC Network. 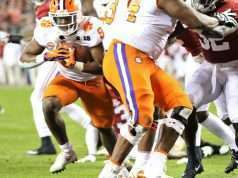 It wasn’t Heisman favorite Trevor Lawrence’s Orange team who struck first, but rather Chase Brice’s white team. The White Team drove 95 yards to score in the middle of the first quarter as Chase Brice’s last three passes (32, 23, 15) accounted for the last 70 yards and the score on the drive. Lawrence’s Orange team scored early in the second quarter with their own 12 play, 70-yard drive to tie the score. The rest of the half favored the White team, as Steven Sawicki kicked a 25-yard field goal and Darien Rencher took advantage of an Orange turnover near their own end zone, running three and nine yards for the touchdown. Lawrence’s orange team scored on a 30-yard field goal by BT Potter to end the half (17 White 10 Orange). Not only does Clemson have two excellent quarterbacks, but “WR-U” is here to stay – again. Highly touted freshmen Frank Ladson and Joseph Ngata combined for over a dozen targets and looked right at home in the offense. That doesn’t include incumbent stars Tee Higgins and Justyn Ross, or older veterans like Diondre Overton (out for the game). For yet another year, Clemson legitimately has half a dozen wide receivers that could start for some ACC teams. While the defense lost eight starters this year, replacements young and old performed well in their quest to earn playing time on the 2019 team. Senior linebacker Shaq Smith and freshman defensive back Sheridan Jones jumped out on the stat sheet. 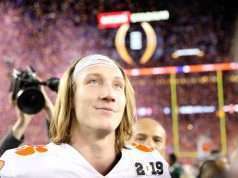 Trevor Lawrence lost the first game of his college career as the White bested the Orange. Luckily, it was the Spring game against his own team where the price of losing is only a Monday Morning workout. 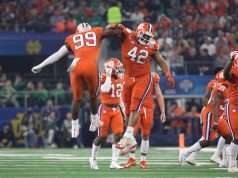 Clemson beat Clemson (in the spring game), but Clemson is on top of college football and they aren’t slowing down – watch out college football.